If your organization uses a UTILITY in Fundriver to retrieve investment information from Northern Trust, please see below for instructions. The data will be available for import based on an arrangement worked out between Northern Trust and your organization. It will typically be available on the same day every month (i.e. the 5th business day of the month, etc.). Please do not run the utility until you are sure that your Northern Trust data for the previous month is available. 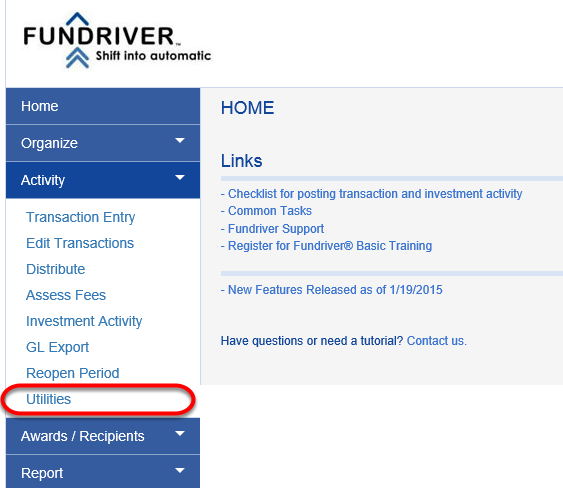 Log in to Fundriver and click on ACTIVITY > UTILITIES. Click on the Northern Trust UTILITY to highlight it, choose your POST DATE and click RUN. 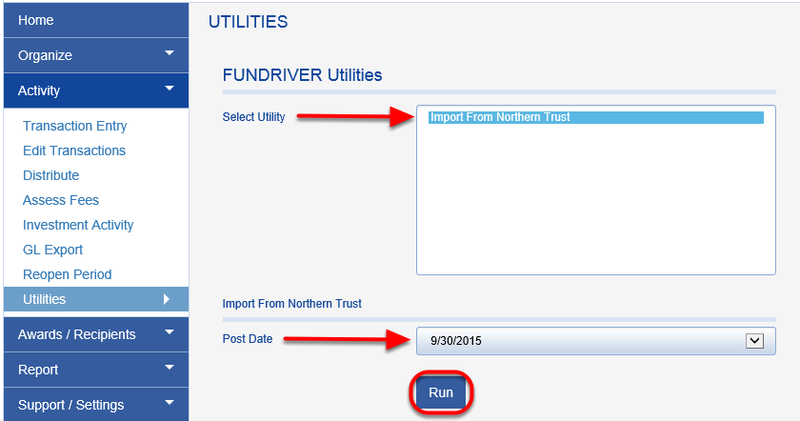 If you have any issues importing data from Northern Trust using the utility, please contact Fundriver Support.